In another example of relatively innocuous home utilities that can be deadly, home water heaters are becoming a serious danger inside homes and buildings. To work properly, electrical water heaters need 220 volts of electricity. If your home has a gas water heater, it requires an uninterrupted flow natural or propane gas that is ignited by a pilot light. A malfunction of either the electrical system or gas system can cause your hot water heater to suddenly explode causing significant property damage and physical injuries. You may be thinking, “Okay, an exploding water heater is bad, but it is not common enough for me to really be concerned.” Well, a report by National Fire Protection Association (NFPA) indicated that water heaters caused nearly six thousand home fires, along with eighty lost lives and over two hundred personal injuries. Another study discovered that, between 2006 and 2010, water heaters contributed to eleven percent of all home heating fires and seven percent of home heating fire deaths. According to the NFPA, the majority of water heater fires were caused by combustibles being placed too closely to the heat source in the water tank. Another reason hot water heaters explode is excessive heat in the tank itself. The tank water gets heated to such a high temperature that it creates steam. This steam then creates pressure inside the water tank to the point where the tank explodes. 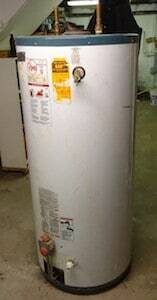 It is recommended that either you, or a professional, check your home’s water heater annually. This annual check-up enables to catch any warning signs like if the water much hotter than usual or there is steam coming out of the faucet. This annual check should also investigate any potential corrosion, leaks, or damage to the heater. Generally, hot water heaters last up to fifteen years, so if you move into an older home, you should definitely check to see how the hot water heater is holding up and consider replacing an old heater with a new device. Medical expenses - a personal injury damages award often includes the bills you incurred as a result of necessary medical treatment after the explosion. This includes both incurred medical bills and future medical bills. Lost wages - You can recover for your lost salary and wages, if you were forced to miss a significant amount of time from work as a result of the explosion. Also, if your injuries are so severe that you cannot return to your job, you may be able to recover future wages that you would have earned had it not been for the hot water explosion. Pain and suffering – Medical expenses and lost wages are fairly easy to calculate because there are often itemized bills and W-2 statements that offer a roadmap for assessing those financial losses. Pain and suffering damages are different. They are more intangible. For example, what is the dollar value of losing a limb in an explosion? Or the dollar value of suffering a disfiguring scar that you will have to struggle with for the rest of your life? An experienced Sacramento personal injury attorney can help convey the extent of the harm to a judge or jury to ensure you receive maximum compensation. Who Can I Hold Responsible for My Water Heater Explosion Injury? Landlords and other individual who may have a duty to maintain or repair hot water heaters in a premise. For example, if a contractor knew or should have known that your water heater was leaking and they had a duty to repair it, they could be held liable if they failed to repair the leak in a timely manner and/or failed to notify you of the issue prior to the explosion. Improper installation of the water heater. As the injured party, the burden falls on you (and concomitantly your lawyer) to prove that the defendant, or defendants, caused the explosion and that explosion proximately caused your injuries. Manufacturers of water heaters are required to meet specific federal guidelines during the design, manufacture and assembly of hot water tanks. If it established that a manufacturer improperly designed, manufactured, or assembled the hot water tank, they can be held liable for your harms and losses. Licensed plumbing installers or contractors are legally required to ensure that every installed hot water unit meets specific manufacturer requirements. If there is evidence that a contractor failed to adhere to these guidelines when servicing or installing a water heater, they could be held liable (along with the company they work for). A jury awarded $50 million to the family of an Alabama man who was killed by an exploding water heater. The victim was a 55-year-old real estate broker who suffered catastrophic injuries when he attempted to relight a malfunctioning pilot with an electric starter button. Gas that had collected in the area was ignited causing an explosion. Four days later, he died. The family of the Alabama man filed a wrongful death lawsuit claiming that the explosion was caused by faulty design and a series of negligent actions and inactions that ensured the problem was not fixed. The legal team for the victim’s family argued that the water heater did not have a multi-function gas control valve with sensors that would have shut off the heater automatically if it detected vapors. They also argued that the defendant manufacturer, A.O. Smith Water Products Co., patented a multi-function gas control valve, but only included it on more expensive heater models (thereby exposing consumers of less expensive models to the risk of deadly explosions). The manufacturer also designated a service person who lacked any familiarity with its products and allowed them to install the device (despite the lack of any discernible experience with the model water heater involved in the incident). The jury found the manufacturer liable and awarded $50 million, including $37.25 million in punitive damages. They apportioned $42.25 million to the family estate, along with $2.5 million to each individual child of the decedent and $2.75 million to the widow who lost her husband. In another hot water heater explosion case, a large company was found liable for $108.9 million in a civil lawsuit involving a deadly hot water heater explosion that occurred in a Slim Jim plant in North Carolina. An investigation into the explosion determined that it was caused by a natural gas leak during the installation of the building’s water heater. The jury found that the explosion was 70 percent the fault of ConAgra, the large company, and 30 percent the fault of a contractor that was hired to install the water heater in the building. I’m Ed Smith, a Sacramento Water Heater Explosion Injury Lawyer. If you or a loved one has suffered injuries in a water heater explosion, please call me at 916.921.6400 for free, friendly advice. I have over 30 years of experience in personal injury and product liability lawsuits. See my reviews on Yelp Google, and Avvo (a service for attorney ratings). I’m a member of Million Dollar Advocates Forum. This is a group of selected US trial lawyers with verdicts and settlements in the million and multi-million dollar range.